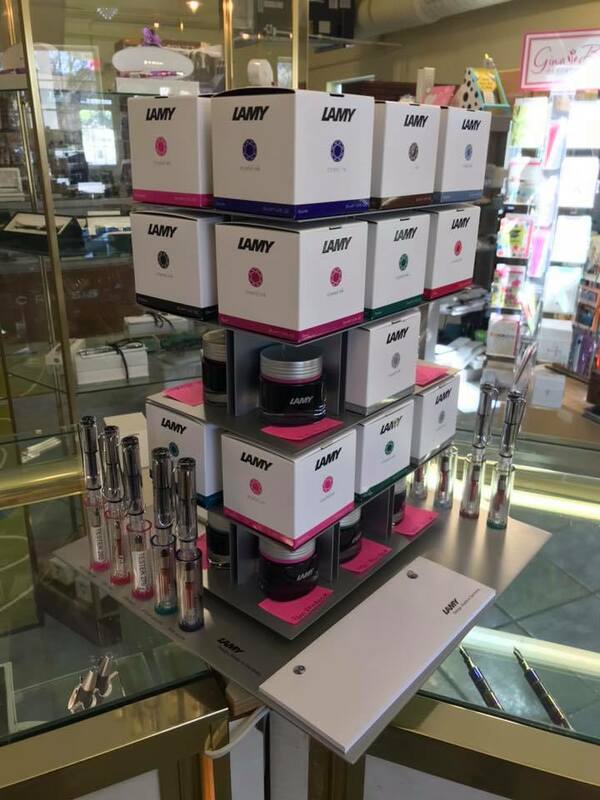 The Lamy Crystal Ink has finally arrived and now you can literally be that “kid in the candy store” ~ come in to our Mom & Pup shop and check out the new display! A dedicated pen for each ink color. Lots of test pads and you can test colors and play ’til your heart is content. Ten brilliant gemstone colors to ogle and droll over . If you’re a local please stop by and see these new limited edition ink colors. We’re sure you will find one you love.